Did you know that, according to the latest brain research, 95% of your actions, thoughts, beliefs and feelings are automatically controlled by your subconscious mind? Did you know that your mind is not your success partner and it doesn’t want you to change? If you’re tired of the inner conflict between the Old You that wants you to stay the same and the New You that knows you’re meant to be doing bigger things, and you want a whole lot more confidence, freedom, fun and inner peace, then the “Fast and Furious” VIP Day with Olga is perfect for you. BIG DIFFERENCE WHERE IT MATTERS MOST. FAST. What if - in just one day - you could uncover your buried negative programming that runs your life in stealth mode? What if you could expose your core self-limiting beliefs that silently sabotage your full potential? What if you could break free from what’s been holding you back and standing in the way of having what you desire and deserve? If you want to make a real difference in the most important area of your life, allow Olga to help you make a core shift to achieve lasting results. 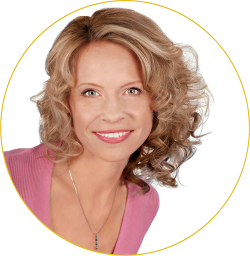 Using cutting-edge brain research and safe, proven, yet somewhat unconventional processes Olga will help you expose your hidden mental and emotional blocks that silently sabotage your wealth, wealth and relationships. Imagine cutting away years of mental and emotional clutter, getting clarity and walking away with a renewed sense of self-confidence, self-acceptance and inner peace. If you are ready for a powerful breakthrough, and you can handle laser-focused attention to create real, lasting, positive change, then a custom VIP Day with Olga is for you. Expect to be challenged and make profound discoveries. Private and Confidential VIP Days are offered virtually via Skype/FaceTime or in person in beautiful Vancouver, British Columbia, Canada. On occasion, Olga may be available to travel to you (travel fees apply). There had always been something missing in my life and Olga took me through processes that brought subconscious blocks into my awareness. If you are looking to make a difference in your life and find out what’s holding you back, I recommend Olga tremendously. I’ve worked with other coaches before, but never anyone who understands highly successful and driven people like Olga does. Her unique gifts and talents set her apart and put her in a class of her own. I heartily recommend Olga. Olga is an exceptional coach. At a pivotal point in my own life and coaching practice, Olga helped facilitate several breakthroughs for me during just one session. She knew just how to recognize and break down some old patters that had been preventing me from progressing and attaining the results I was after. Since then, she has continued to be a source of strength and insight for me both personally and professionally. WANT TO KNOW IF YOU QUALIFY AND THIS PROGRAM IS RIGHT FOR YOU?